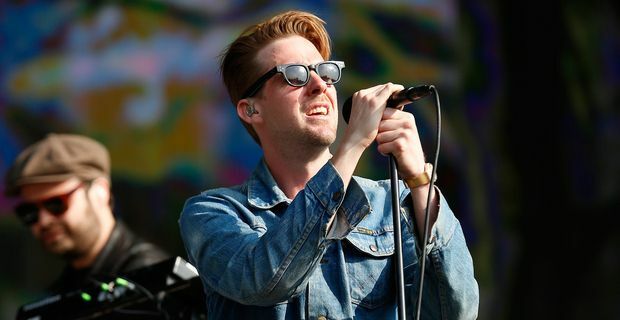 We predict a riot (of indifference) at the news that Kaiser Chiefs frontman Ricky Wilson has landed the role of indie judge for the next series of The Voice. There was an air of completing the team with a cheap signing about Wilson's recruitment, after the star Kylie Minogue had been named as the successor to Jessie J, joining established team members Tom Jones and will.i.am in the squad for 2014. Wilson, Britain's second most famous Ricky behind the dumb mechanic from EastEnders, was understandably thrilled to have the opportunity to raise his profile on the BBC's talent show, which will begin a new run in January. "Who doesn't want to spend their Saturday night with Kylie Minogue?" Wilson said. "I spent last winter yelling at The Voice, and both Sir Tom Jones and will.i.am were total superstars. I'm just lucky the Kaiser Chiefs have rubber stamped my temporary loan." The band aren't exactly hitting the stratosphere of the music scene right now, so a sabbatical is probably well-timed. Wilson replaces the relentlessly perky Script frontman Danny O'Donoghue. He will play a similar role, looking for less mainstream acts and encouraging edgier talents, in the unlikely event that those kinds of performers would be allowed anywhere near an audition on The Voice, or would be interested in the show. "Ricky is one of the UK music scene's great frontmen," the BBC's Mark Linsey exaggerated, in the style of a football manager trying to boost the confidence of his journeyman reserve. "He knows all about performance and will complement the rest of the coaching line-up perfectly." Ratings were down for most of the second series of The Voice, with fickle viewers switching channels to Britain's Got Talent. The final managed a respectable showing, but producers have decided to avoid another BGT clash by beginning the broadcasts in January.